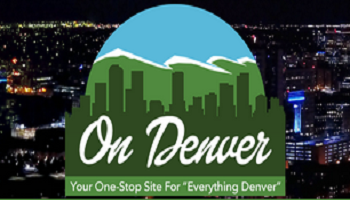 Get ready for the 2nd Denver NORML Summer Camp, happening July 13th – 15th! The event is presented by CannaVenture, an event planning service focused on low-cost, outdoor cannabis adventures. This year, they’ve teamed up with Marijuana Fitness Nutrition, to offer a Cannabis Bodyweight Class. I’m excited to say my wife Heather and I will be leading the class! This bodyweight class will incorporate the use of cannabis. prior to starting, in order to create a deeper focus and an improved mind body connection. Intended to jump start the day, this easy yet effective training will be perfect for any beginner, and a great reminder of basics. We will focus on getting the blood circulating, with an emphasis on stabilizer muscles, core, and balance. Consumption of cannabis post class will be recommended to aid in recovery. 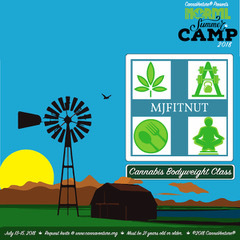 This bodyweight conditioning will be one of several CannaFitness activities available over the three-day summer camp. 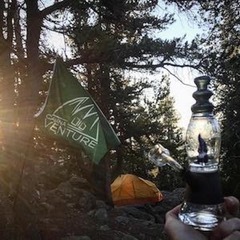 CannaVenture is well known for their 420 friendly hikes, and camping in Colorado wouldn’t be complete without getting high in the mountains. 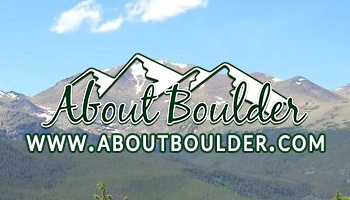 Before hiking through Colorado’s beautiful nature there will also be cannabis yoga classes offered for those of us who enjoy a good stretch and time to practice some mindfulness. Tickets for the summer camp are $60 per individual, and $100 per couple. If you can’t make the first night, they offer an overnighter ticket on the night of the 14th for only $30. Your tickets include access to a private, consumption friendly property for all guests (21+), all guided activities such as the morning yoga, nature hikes, stoner survival, the MJFITNUT Cannabis Bodyweight Class, and more. You do need to bring your own cannabis and preferred consumption devices. You do have to have a confirmed RSVP to attend the event, so contact CannaVenture for your special invitation. CannaVenture’s events are known to sell out so be sure to sign up as early as possible. They quickly sold out their Disc N Dabs tournament, and the Denver NORML Summer Camp won’t be any different. I’m really looking forward to teaching this class and getting the chance to connect with other like-minded people. The cannabis community is a unique one, and I’m proud to be a part of such a positive movement. I invite you all to join us for one of the best 3-day weekends you’ll have this summer!